Alides Hidding was born in Schoonoord, the Netherlands on January 30, 1954. 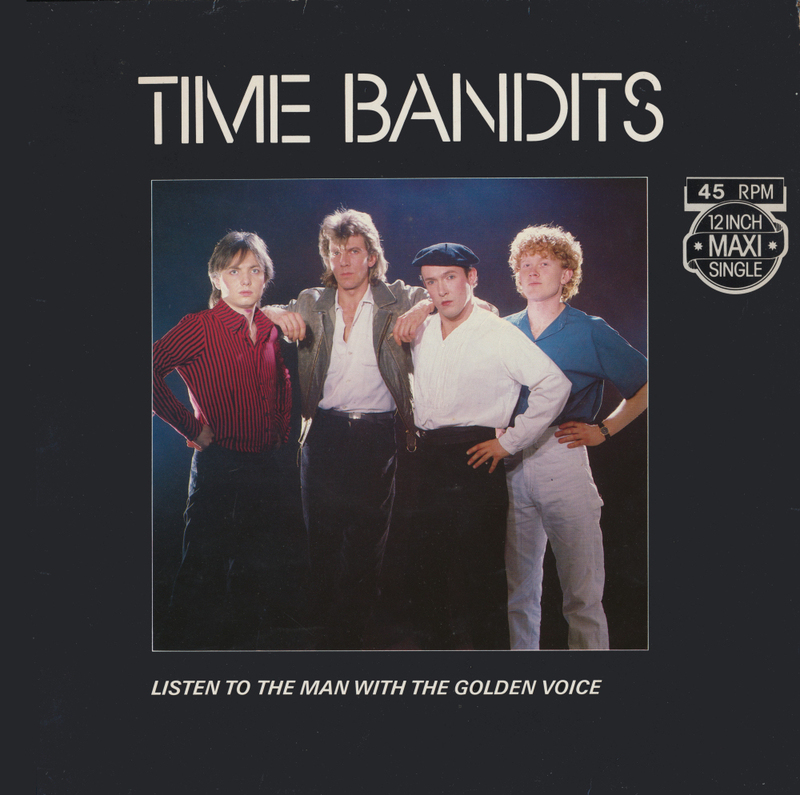 He founded the Dutch band the Time Bandits that enjoyed international success. But before that, he released a solo single which even in the Netherlands is not so well known. This is surprising, because it was a hit. 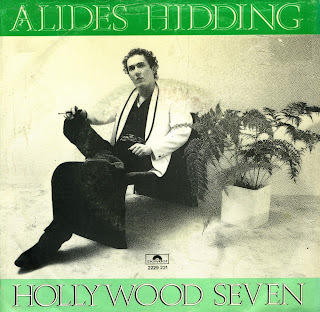 'Hollywood seven' was released in June 1980 and reached number 25 in the Dutch top 40. It was a very American sounding song. I remember being very surprised when I found out this was actually a Dutchman. When a 12" single announces that a special re-mix is provided by Ben Liebrand, you know you're in for a treat. During the Eighties, Ben Liebrand made a name for himself by making remixes of chart hits on a weekly basis for a Dutch radio programme. Also, at the end of the year he would make a 60 minute remix containing much of the best and biggest hits of the year. 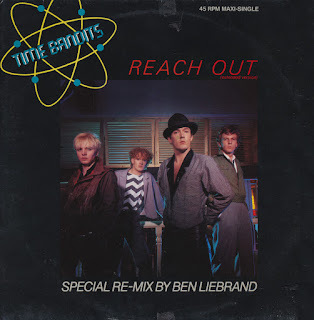 'Reach out' was released by the Time Bandits in 1984, when they had their biggest success with previous singles 'Listen to the man with the golden voice' and 'I'm only shooting love'. 'Reach out' doesn't quite have the same impact but this remix does make the song that much more attractive. 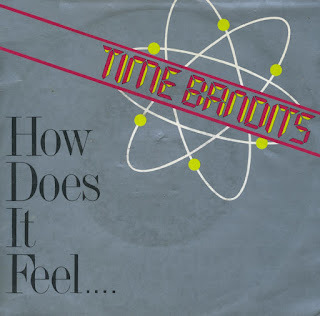 Despite keeping rather up to date on what happened in the UK in the Eighties, partially thanks to a local radio station I listened to on a daily basis and the satellite TV channel Music Box, I didn't know about this single when it came out. I had seen and heard its predecessor 'Hey presto' numerous times so I knew about the band Black already, but I would only find out about Black again in 1987, when 'Sweetest smile' hit the TV screen. The tracks on this 12" single came to me via a compilation album released by WEA in 1987 after 'Wonderful life' was such a success. 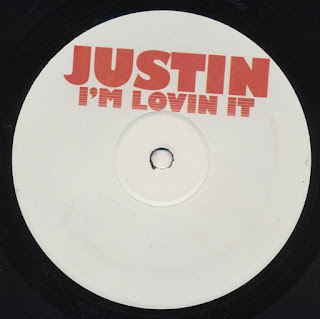 After buying that album, the hunt for this 12" single was on, but it would take me some years to get hold of it. Best track on this one? Without a doubt, 'Butterfly man'. A mysterious piece of music that wouldn't be out of place in the current (third) season of Twin Peaks. It took Propaganda a year to release a follow-up to Dr Mabuse. Or rather, their record company because after the phenomenal success of Frankie goes to Hollywood they seemed a little fazed.But when 'Duel' was finally released, it was a big success, especially in the Netherlands where the single peaked at number 5. In the UK, the single only reached number 21. The 12" single featured extended versions of both the A- and B-side. 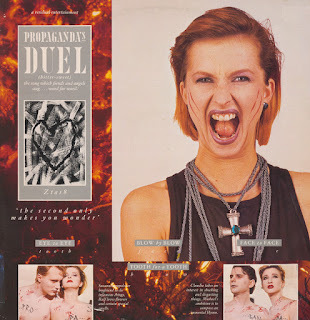 'Jewel', on the B-side, was simply a different, more industrial-sounding version of 'Duel'. As always, the record company ZTT made the sleeve of the 12" single look very different from the 7" version, creating a very interesting item for fans and collectors. 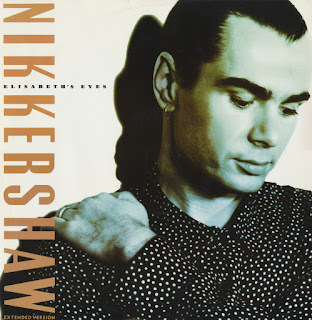 Released in 1989, Nik Kershaw's fourth album 'The Works' wasn't the commercial success it might (or should) have been. Only two singles were taken from the album, of which 'Elizabeth's eyes' was the second. 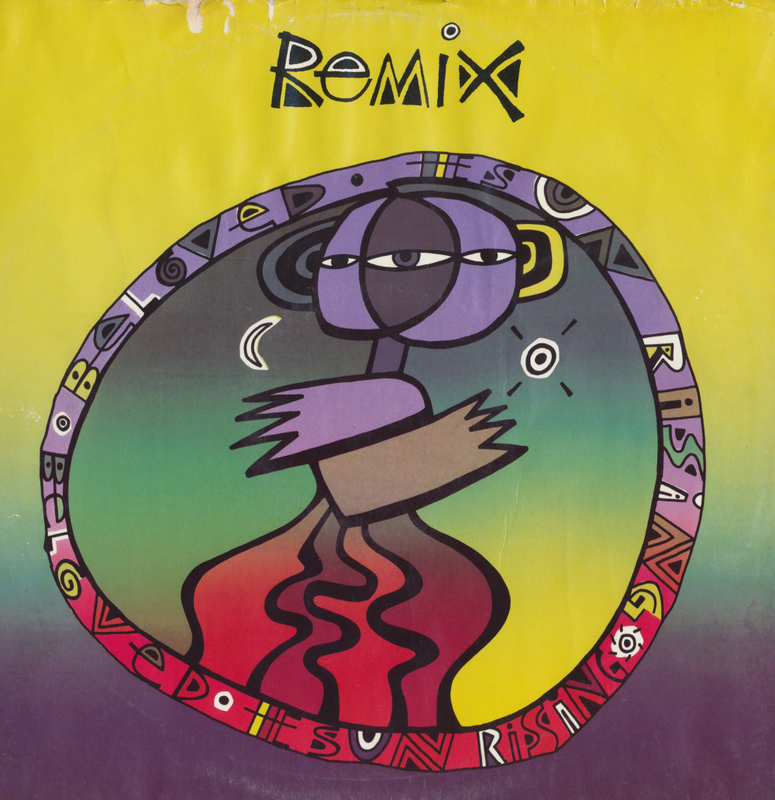 This 12" single features an extended version of the track as well as a dub version. According to Nik: "The single is a song written from the point of view a guy called Willie Darden, who was America's longest serving death row prisoner. He was on death row for fifteen years and during the last twelve years of his life he corresponded with a lady in Essex called Elisabeth Allen who's a school teacher. The two never met and they sort of developed a relationship over the years, which is very strange 'cause they never actually existed, a lot of it existed in the mind of Darden. I was trying to imagine how he felt - I've read some of the letters which are absolutely unbelievable - they're poetry, they're love letters, they're incredible things." The song's final line of the third verse reads "Tuesday at seven I will find my heaven, and I'll see you there", which is accurate to the time and death of Darden in reality, on Tuesday, 15 March 1988 at 7am. 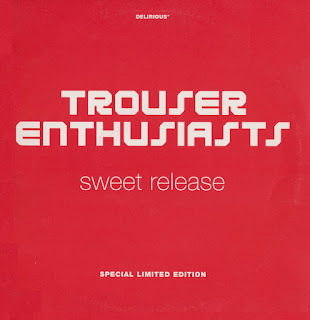 Through the years you will have seen a few remixes by Trouser Enthusiasts on this blog, but so far I didn't write about their only single, 'Sweet release'. 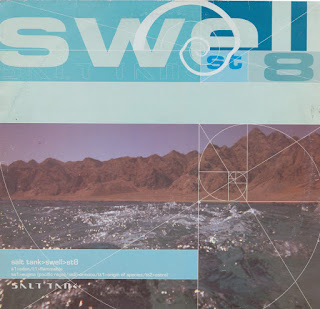 Released in 1999 as a limited edition, it has been hard to find a copy at a reasonable price but I finally succeeded last year, in combination with a couple of other 12" singles ordered online. Ian Masterson and David Green formed Trouser Enthusiasts in the mid-1990's. They were best known as producers of pop and dance remixes, having worked for, most prominently, Pet Shop Boys, Dannii Minogue, and Saint Etienne. 'Sweet release' was their only original single, which didn't trouble the singles charts. 'Hon går rakt fram', backed with 'En enda rad' are actually Swedish-language covers of Kim Wilde's 'Love blonde' and Yazoo's 'Nobody's diary' respectively. They were originally released on an album by the band Cotton Club in 1984. The album featured more cover versions, such as Thompson Twins' 'Hold me now' and Eurythmics' 'Sweet dreams' - all in Swedish. 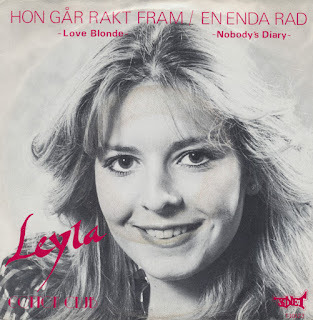 For some reason, when this single was released, the band name was dropped and the single was credited to Leyla, which is Leyla Yilbar-Norgren, who was the lead singer on these two tracks. She released two more singles but then faded into anonymity. 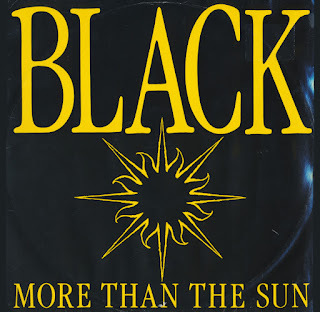 I can't claim to have had a deep personal relationship with Colin Vearncombe, the man behind Black, but still his death in January 2016 hit me harder than any other musician's death ever did. And speaking of death: his 'Wonderful life' will probably end up being played when my funeral comes up. And you never know when that is. 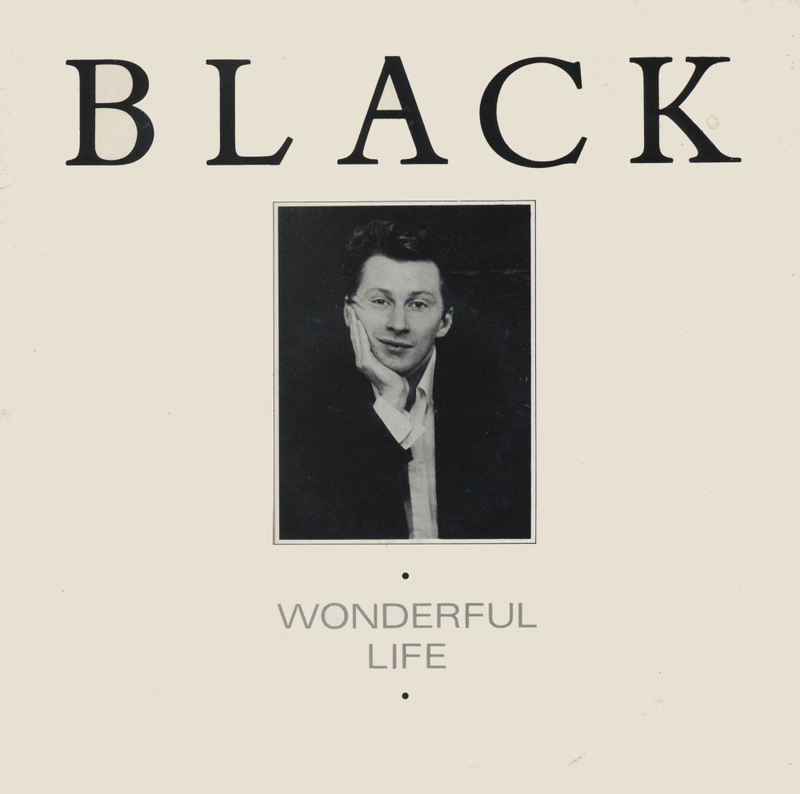 'Wonderful life' was originally released in 1986 on the Ugly Man label. 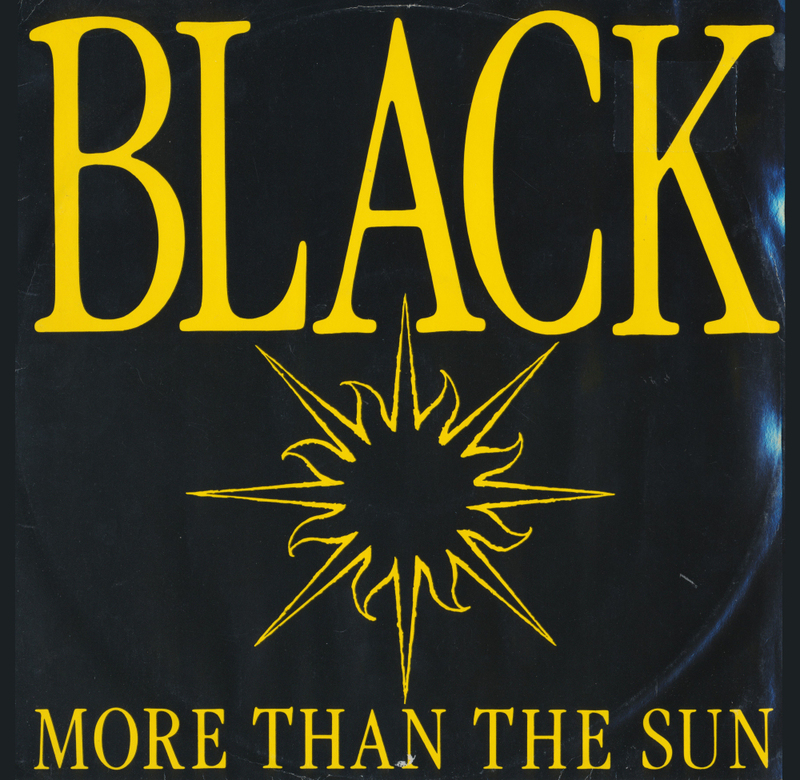 It was on the strength of this release and its indie chart success that Black ended up being signed on A&M Records. This song was their third single release on A&M and that version ended up being a worldwide hit. When you listen to the version of this 12" single, from 1986, you can hear subtle differences. 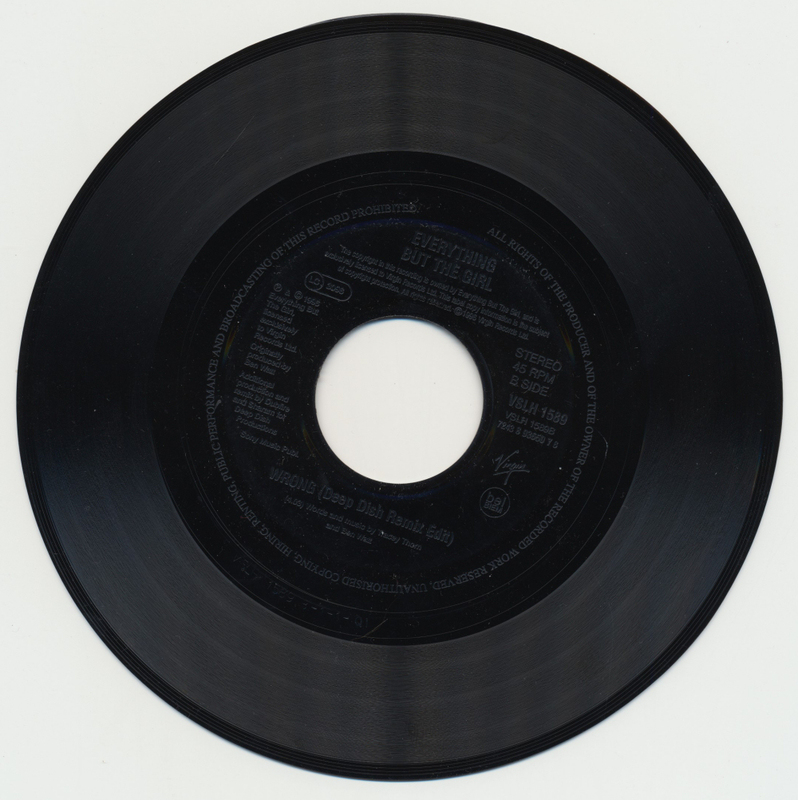 The B-side contains the track 'Birthday night' which was never re-recorded, and an early version of 'Everything's coming up roses', which ended up being re-recorded and released as Black's first single for A&M. I was not even that keen on buying the 12" single when I did some 25 years ago - after all, I already had the double 7" single version - but now I'm very glad to own it. 'Les rois du rock' declares the sleeve of this single, which means that it is some kind of reissue series, released in France. And indeed it is: 14 singles exist in this series, featuring artists like Jerry Lee Lewis, Fats Domino, Chuck Berry, Bill Haley and indeed, on vol. 10, Marty Wilde. 'Mean woman blues' and 'So glad you're mine' were never released as a single originally. 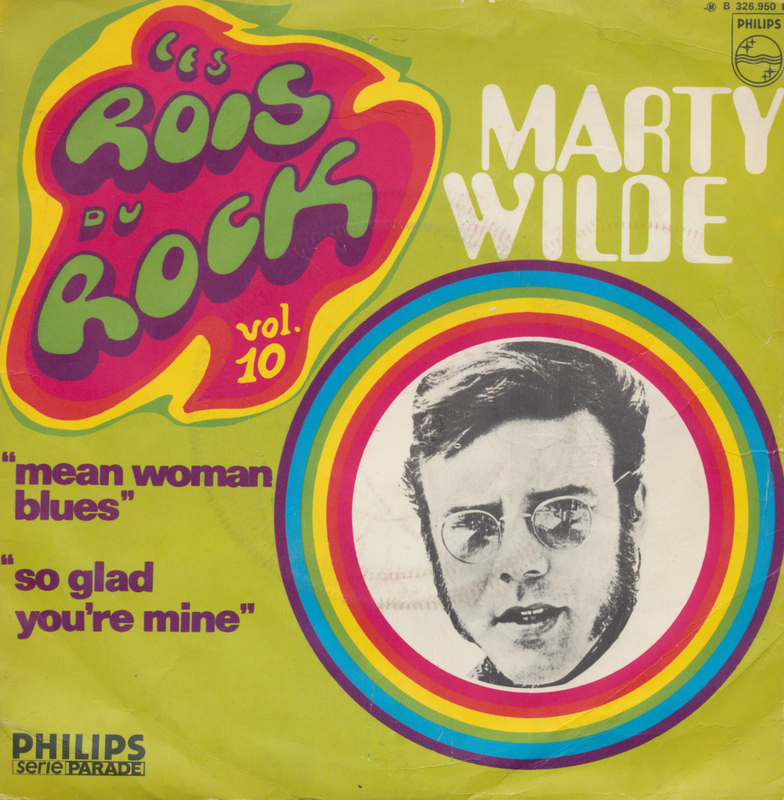 Both tracks were taken from Marty's 1959 album 'Wilde about Marty'. The release date of the series 'Les rois du rock' is unknown because there is no year stated on the label. One source suggests that volume 1 was released in 1969, so this is most likely a late 1960's release. Those hit songs of the Seventies, they end up in your collection no matter how long you resist them. 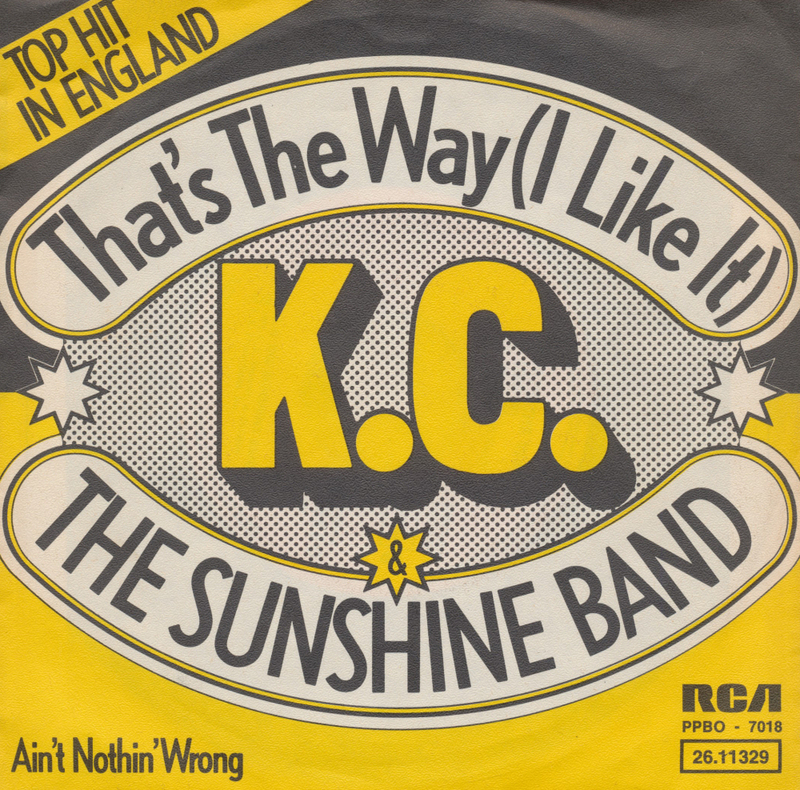 'That's the way (I like it)' was one of the biggest anthems of the Seventies. 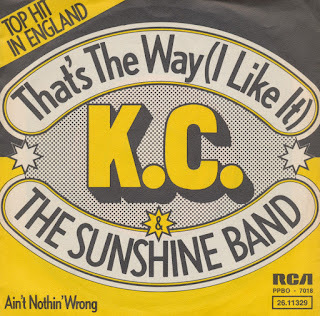 The KC & the Sunshine Band classic was a number 1 hit in the USA, Canada and the Netherlands. In the UK it only reached number 4. Still, the song remains imprinted in the memories of millions of people because of its repeated airplay during the past four decades. 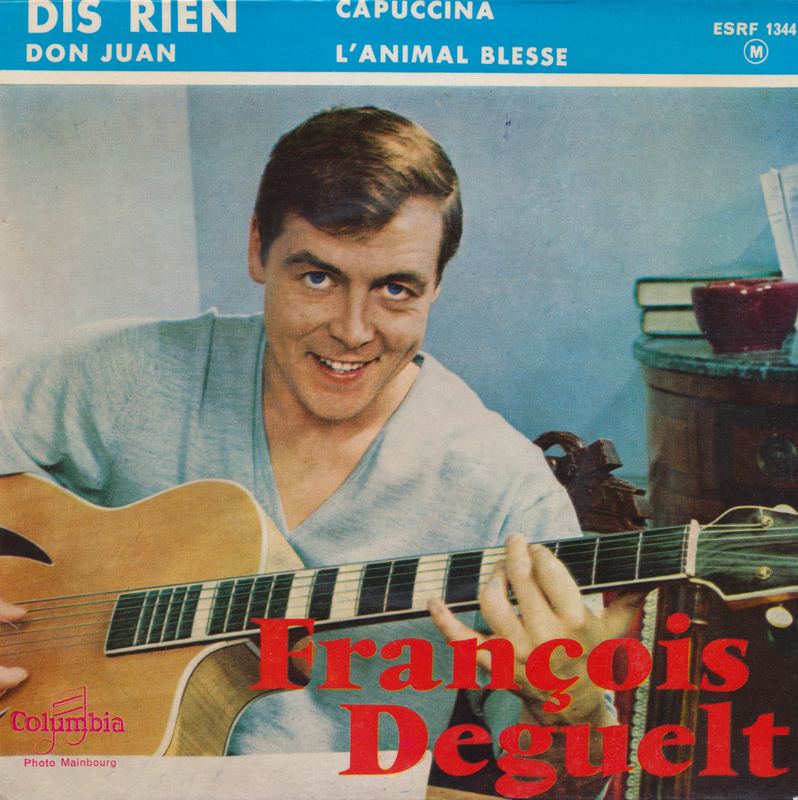 I bought François Deguelt's first Eurovision title, Ce soir-là, three years ago, and here's the second one. In 1962 he returned to the Eurovision Song Contest, representing Monaco for the second time with the song 'Dis rien'. While he finished in third place in 1960, this performance improved on that, because he finished second with this song.This EP presents four songs by Deguelt. He continued to perform on the nostalgia circuit in French speaking countries, until his death at the age of 81 on January 22, 2014. Another band that has always fascinated me are the Beloved. They released some very interesting songs in the Eighties and Nineties, and there were plenty of remixes around too. 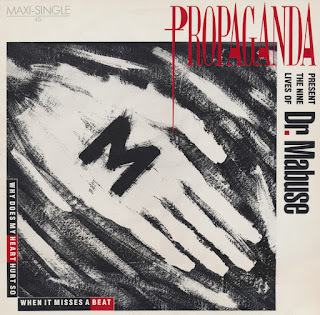 I decided to pick up missing 12" singles last year - and there were a few. This 12" single of 'The sun rising' is a good example. I already owned the 7" single and the CD-single, but this 12" features a few remixes that were not issued on CD. As with most of the Beloved's remixes, they're worth hearing too because they always sound fresh. Having described my 7" single of 'Radio Heart' in 2009, it's not bad to add the 12" single today. I've owned it for years already, but somehow it didn't make it onto this blog yet. 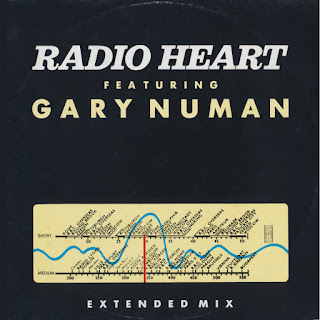 Maybe it's because the extended version of 'Radio Heart' is a little unremarkable: it simply adds some instrumental parts of the song in the middle, making it a 6 minute version instead of the 4'20 single version. 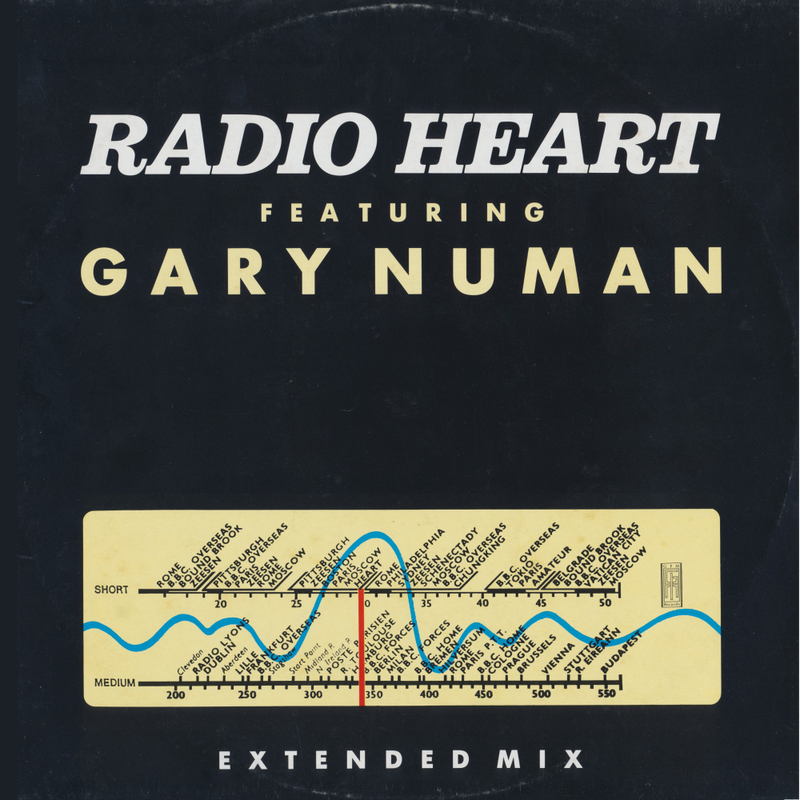 Gary Numan is, of course, still going strong, but Radio Heart only existed for one album and three singles. A little sigh comes over my lips every time I hear about new work by Tori Amos these days. As far as I'm concerned, she did her best work in the Nineties and then for some reason the fire went out and she started doing rehashes of her old work or uninspired semi-classical ditties. I would do anything for concert tickets back in the Nineties, whereas now I simply do not care. Back in the Nineties, many exciting things happened. Not only did Tori release her quintessential albums 'Little Earthquakes', 'Under the pink' and 'From the choirgirl hotel', but she also worked with remixers like BT for more dance-oriented tracks. 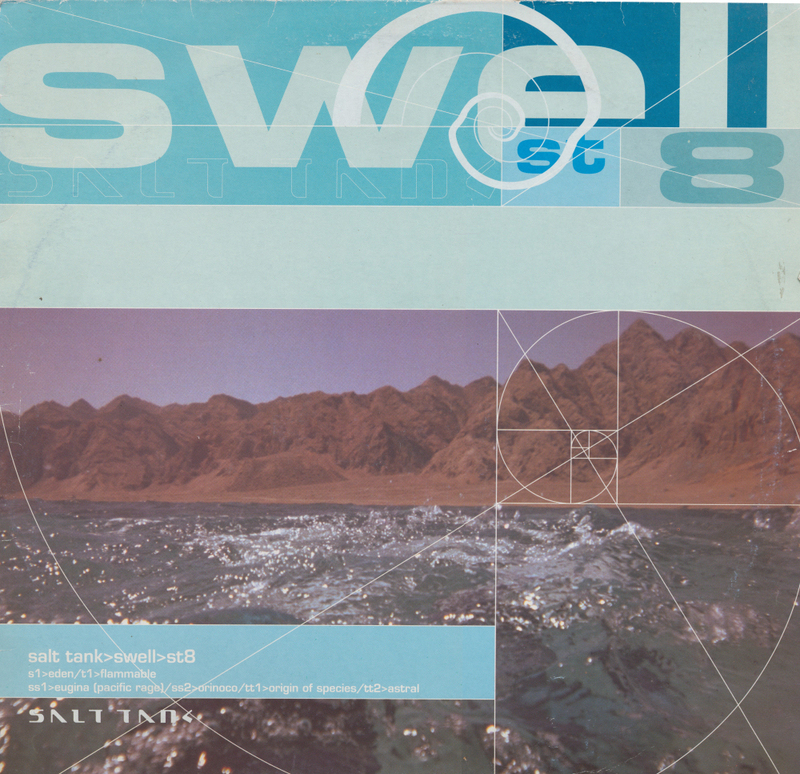 This remix by Salt Tank was another interesting one: 'Eugina' features her vocals, although in this case it was a random sample. This 12" single set was part of a bigger order online, and I bought it for old times sake. I have to say these tracks puzzle me and I'm not sure if I'll play them a lot. Who do you hear in the tracks 'Eden' and 'Orinoco', on the other hand? Well, it's Kate Bush. And she is still the Goddess she's always been of course. Released in 1981, 'I can't stay away from you' was an ill-fated single for Viola Wills. Best known for her disco hits 'Gonna get along without you now' and 'If you could read my mind', this song was simply too middle of the road for the disco generation, which had probably moved on anyway. I actually bought this single for the B-side: a cover version of one of the most beautiful songs ever recorded: Chicago's 'If you leave me now'. Unfortunately, this disco version also disappoints. Still, sometimes curiousity has to win and it's a nice enough single to add to my collection. Although Viola continued to record albums and singles until well into the Nineties, she did not have another hit. I guess I'm not giving away a big secret when I say that Marty Wilde is a big fan of Elvis Presley. 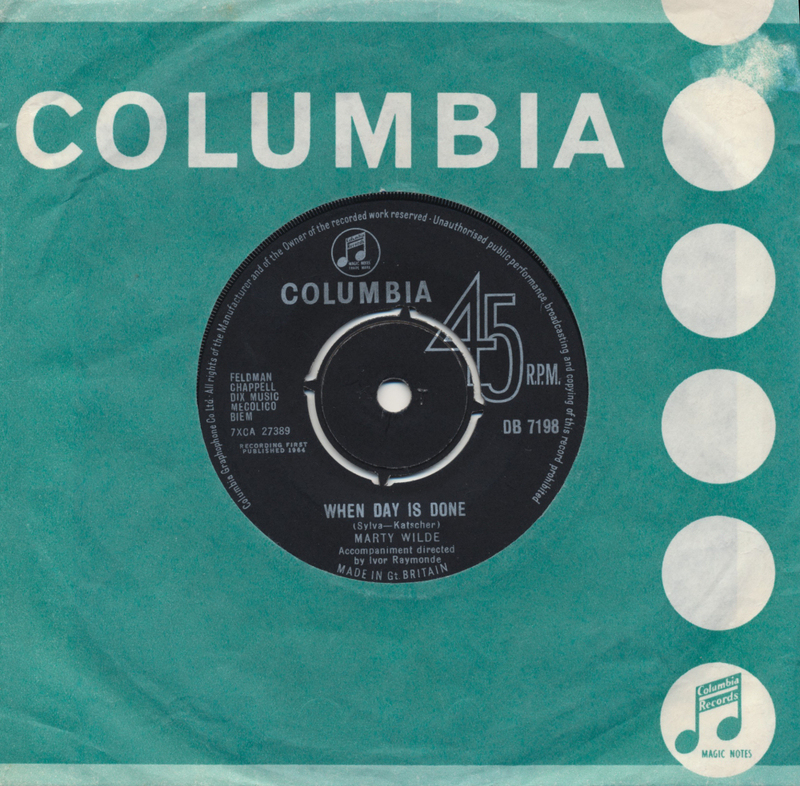 Out of all of his recordings, I find it's most evident in this recording: 'When day is done', released as a single in 1964. The song was originally written in 1924 by Austrian composer Robert Katscher as 'Madonna, du bist schöner als der Sonnenschein'. It was translated into English by Buddy DeSylva and released as 'When day is done' in 1926. The earliest recordings were made by Art Kahn, Harry Archer and his Orchestra and Nat Shilkret. Later the song was covered by artists such as George Benson, Bing Crosby, Al Jolson and indeed Marty Wilde. His version didn't become a hit, although listening to this I can't imagine why not. Simply beautiful! Some singles are mysterious. This single by Jason Chase is a good example. Released in 1968 on the Atco label in the USA, it features two cover versions: the A-side is a version of Marty Wilde and Jack Gellar's 'Jesamine' (made famous by the Casuals), and the B-side is a version of Leonard Cohen's 'Suzanne'. But who is Jason Chase? Other than the fact that he sings both these tracks and has also produced them, there is no information anywhere about this man. I'd be interested to find out more, but for now, he remains a total mystery. Just like Walking wounded and Single, 'Wrong' was released as a jukebox-only 7" single. I only found out about this quite recently, and this prompted me to get hold of these singles as quickly as possible. Thanks to the internet, it isn't so hard to find rare singles these days, although obviously it depends on how much you'd like to spend on them. I do have to wonder why record companies in 1996 felt it wasn't necessary to release vinyl singles commercially anymore. They were obviously being made, so why not make them available to the general public? But then, the workings of the record industry have baffled me ever since those days anyway. As you may have gathered from today's entires, I am cleaning up my 12" singles collection. Or rather, I'm going through them to see whether there's any stuff I haven't yet digitised. I was pleased to see that there's not a whole lot of work left to do, although there have been some surprising omissions. For instance, I haven't posted any of my Propaganda 12" singles! I only have three of them, but they're the classics: taken from their debut album, both the songs and their respective 12" singles have been exciting. To begin with, there's 'Dr. Mabuse': a song that was transformed into a 10 minute epic, backed with an impressive cover version of Lou Reed's 'Femme fatale'. Time to rectify the situation. 'Duel' and 'Machinery' are due to follow soon, of course! 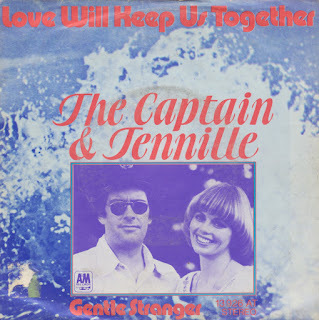 On the back cover of this 12" single it is announced: 'produced by Tony Mansfield'. For those in the know, this is a recommendation. For Tony Mansfield was also the backbone of New Musik, he produced A-ha's debut, as well as producing acts like Captain Sensible and Naked Eyes. Wendy Wu's career was more short-lived: she released just three singles, of which 'Let me go' was the last one. However, on those singles she worked with Graham Gouldman, Gary Barnacle and Tony Mansfield respectively. 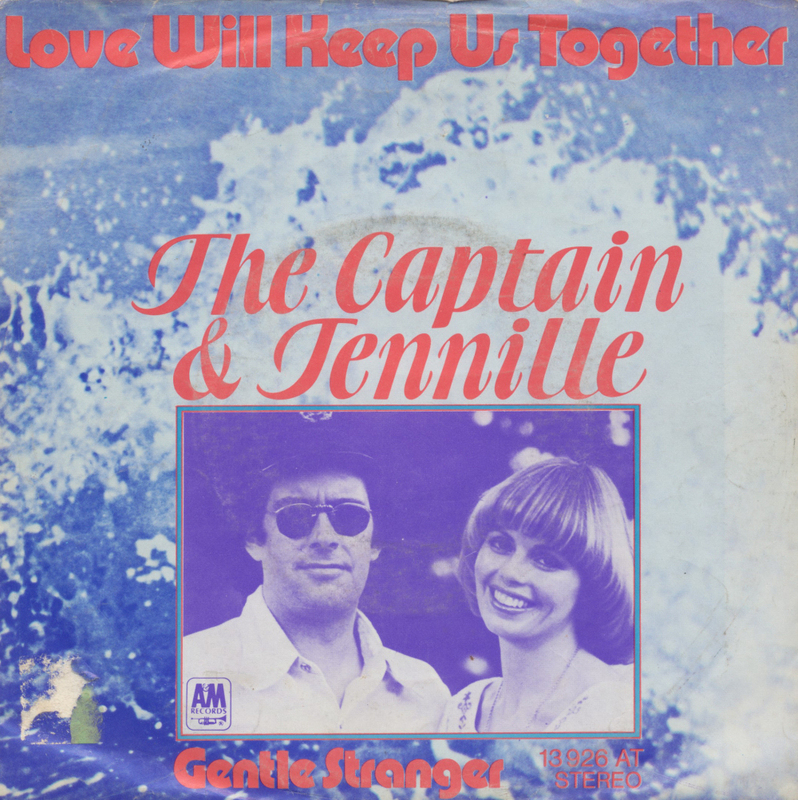 After these singles flopped she went on to work with Visage's Steve Strange in the band Strange Cruise. 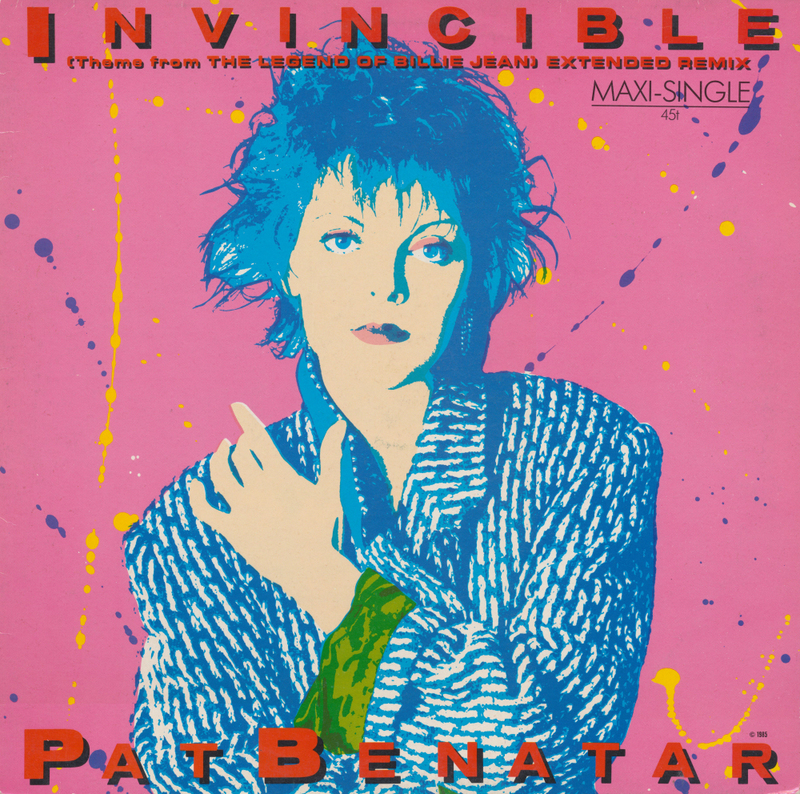 Pat Benatar had her biggest success with 'Love is a battlefield', but after that single a few more slightly successful titles followed. 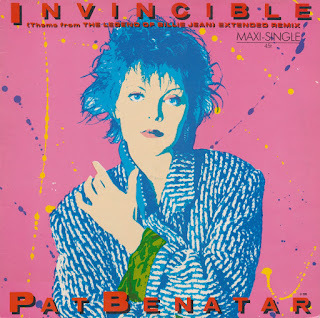 One of them was 'Invincible', a song taken from the soundtrack of 'The legend of Billie Jean'. 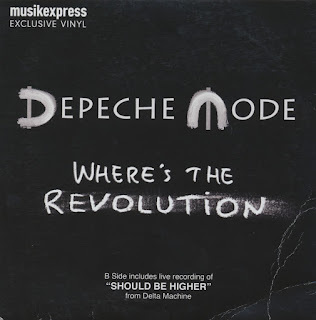 I owned the single since it came out, but I never bought the 12" single at the time. I bought it a couple of years ago and then it again disappeared anonymously in my collection. It's a shame, because this is a really decent extended version of that track. 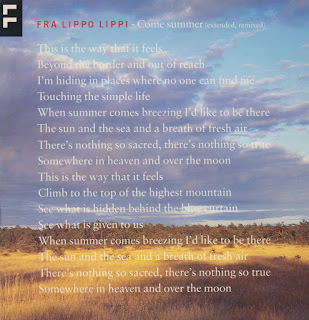 The sleeve of Fra Lippo Lippi's 'Come summer' is one of the most beautiful sleeve designs ever. Made by StyleForEveryMood in Stockholm, it looks deceptively simple: just a beautiful image with the lyric of the song printed over it. Sometimes you wonder how people come up with something like this. The song, of course, is no less beautiful. Taken from the band's album 'Songs', it followed 'Shouldn't have to be like that' but didn't achieve the same amount of international success. It's strange, because it is the better of the two songs. Even three decades ago, people didn't recognise a hit when it was slammed in their face. 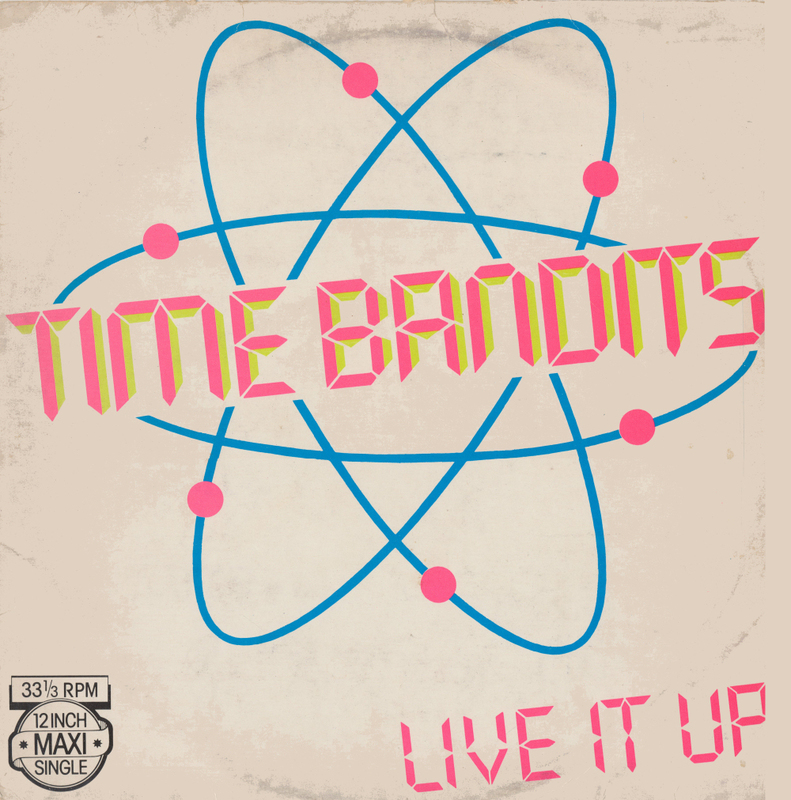 This copy of the 12" single of Time Bandits' debut single 'Live it up' was not in a very good shape when I bought it. My needle kept sliding off the record after playing a few seconds, barricades by clouds of dust. Fortunately, it was nothing that a good cleaning session couldn't fix. This is a mysterious 12" single. 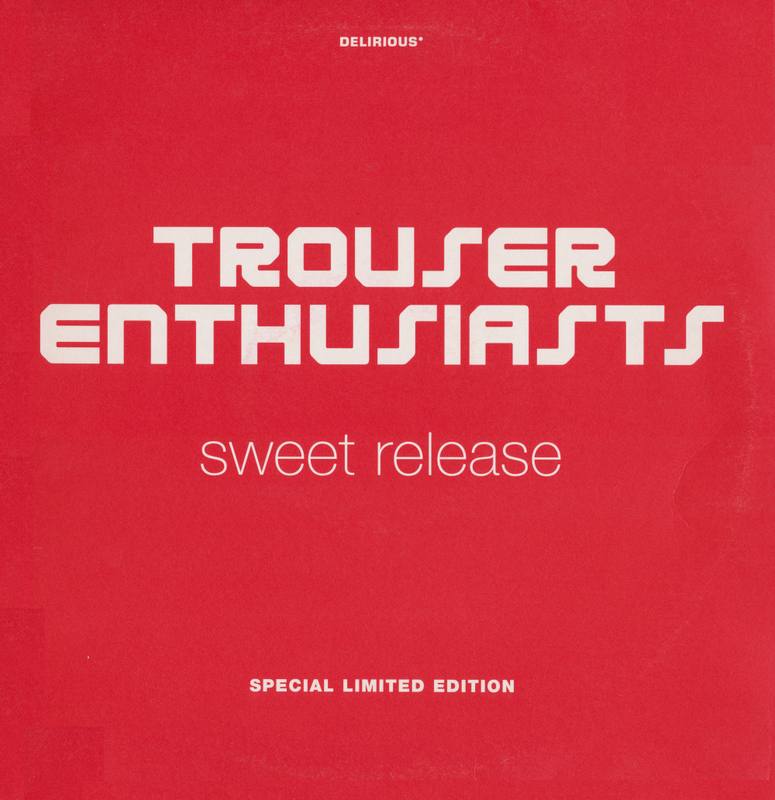 Released unofficially, it is supposed to contain two remixes by the Trouser Enthusiasts, but it sounds rather different than their other work. There are no credits on the label, so it is hard to find out. Justin Timberlake released 'I'm lovin' it' in 2003, after he was paid $6 million to sing a jingle for McDonald's. The Neptunes produced a song based on this jingle, and this was released in November 2003. The single became a number 1 hit in the Wallonian part of Belgium and reached number 13 in the Netherlands. It did not chart in the UK or USA. Gershon Kingsley of course gave the world Popcorn, he did release some more music. This single is an example. Also made on the famous Moog synthesizer, 'Hey, hey' is a nice but forgettable piece of instrumental music. 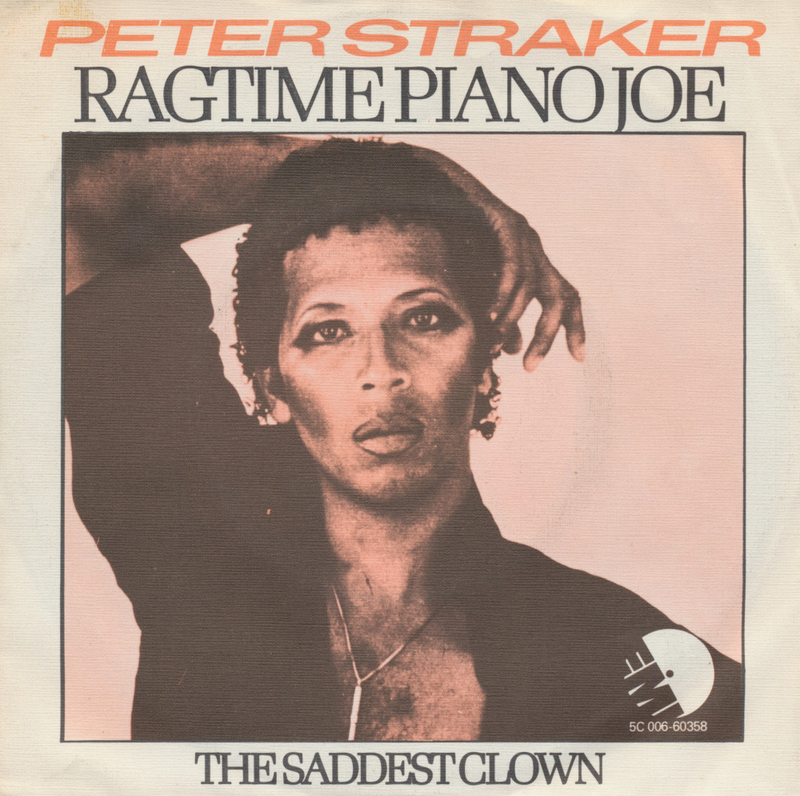 One of the many tracks on the The best of the Top 40 of the year double album, which basically started my obsession with collecting music, was Peter Straker's 'Ragtime piano Joe'. Through the years I have bought almost all the tracks on single, but for some reason I never did buy this one. Even now I thought I already had it, strangely enough. Peter Straker was born on November 7, 1943. The Jamaican singer and actor became best known for his appearances in the London production of the musical 'Hair', and in the 1979 series of Doctor Who. 'Ragtime piano Joe' was produced by Roy Thomas Baker and Peter's close friend Freddie Mercury. 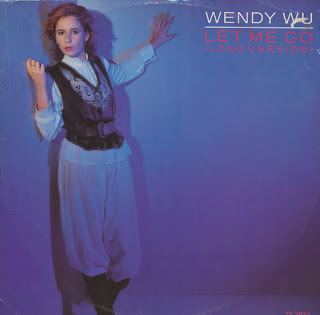 The single reached number 11 in the Dutch Top 40 but, weirdly enough, did not chart in the UK. The B-side of this single is also worth listening to, for its moving sentimentality. In 1994, the Norwegian duo Diva released a cover version of A-ha's 'The sun always shines on TV'. Helene Sommer and Elene Nyborg did manage to attract some attention with their version of the song, although it didn't become a hit - except in Norway where it reached number 2 and in the UK where it got to number 53. This double 12" single - housed in a rather anonymous black sleeve - was given to me by regular blog reader Puck some time ago, but I never got around to recording all the versions included in this package. I'm sure you'll agree that none of them can't hold a candle to A-ha's original version of the song. 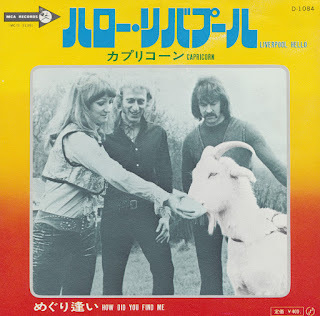 The band Capricorn consisted of Sue Avory (lead vocals), Unwin Brown (drums), Colin Travers (guitar) and Steve Pryor (bass). They were much more popular in Japan than they were in the UK. 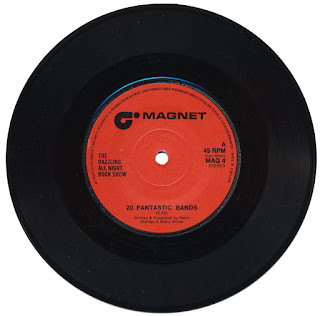 Their first single was 'Hello Liverpool', a song written by Marty Wilde and Ronnie Scott. 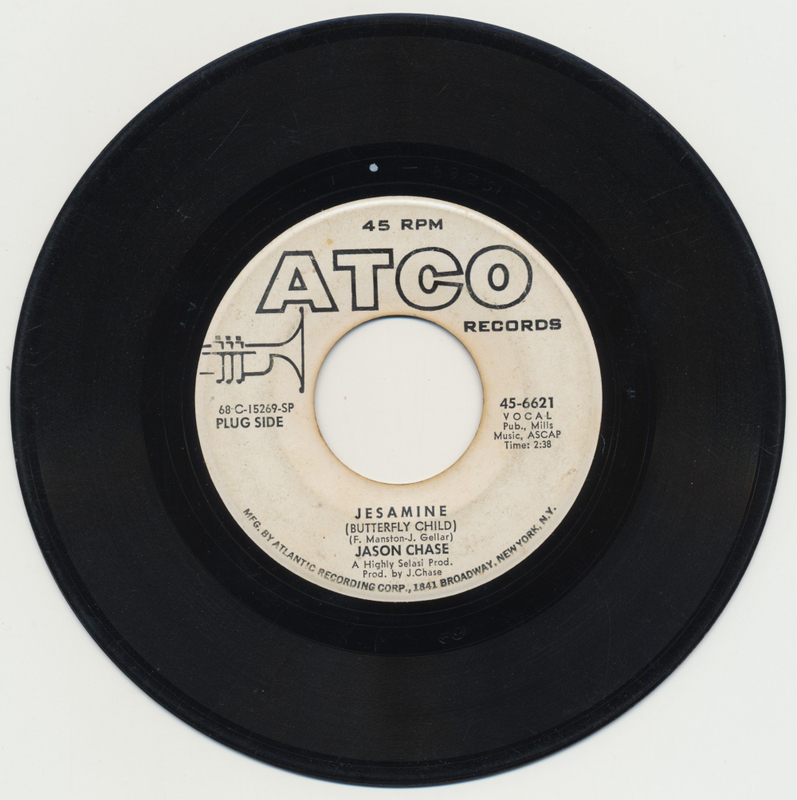 It features the song 'How did you find me', written by the same duo, on the B-side. In the UK, the single appeared in a record company sleeve, but the Japanese version was much prettier, featuring a picture sleeve. I was lucky enough to find a copy for a reasonable price some time ago. The single was released in 1970 and reached number 1 in the Japanese singles chart. Two years later the band won the World Popular Song Festival in Japan, representing the UK with the song 'Feeling'. A couple of years later the band split up. 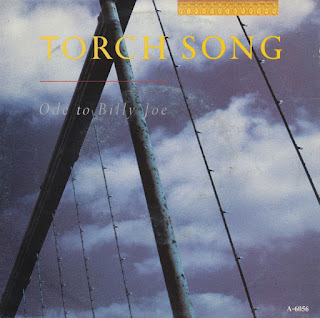 I mentioned Torch Song once before on this blog, back in November 2008, describing my 12" single of 'Don't look now'. Since then I have found out that a 7" single does exist, because I recently ordered one. But then I went to Velvet Vinyl Outlet yesterday and suddenly found this single: 'Ode to Billy Joe'. The song was taken from the band's debut album 'Wish thing' as well, and while it isn't the best track off that album, the B-side of this single contains a rather pleasant surprise. 'The Zebra Room' - a non-album track' - can be considered a sort of 'dub mix' of 'Don't look now'. And since that is one of my favourite tracks of the Eighties, this single turned out to be one of my best buys of the day. Try as you might, you can't find any information anywhere about a band called 'Dazzling All Night Rock Show'. There is every likelihood that it was simply used as a nom de plume by Marty Wilde and Peter Shelley who released '20 fantastic bands' as a single on November 23, 1973. Glamrock was the name of the game, you can easily hear the influences on this song. It isn't that hard to imagine that bands like The Sweet would record a similar kind of song. But they didn't, and this version didn't become a hit. In 1975, Joey Dell appeared on the pop scene with a single that was produced by Frere Manston - a pseudonym of Marty Wilde. Dell had previously smelled at the music scene in 1962 with a single called 'Let's find out tonight'. This single was a comeback of sorts, although it didn't become a hit. 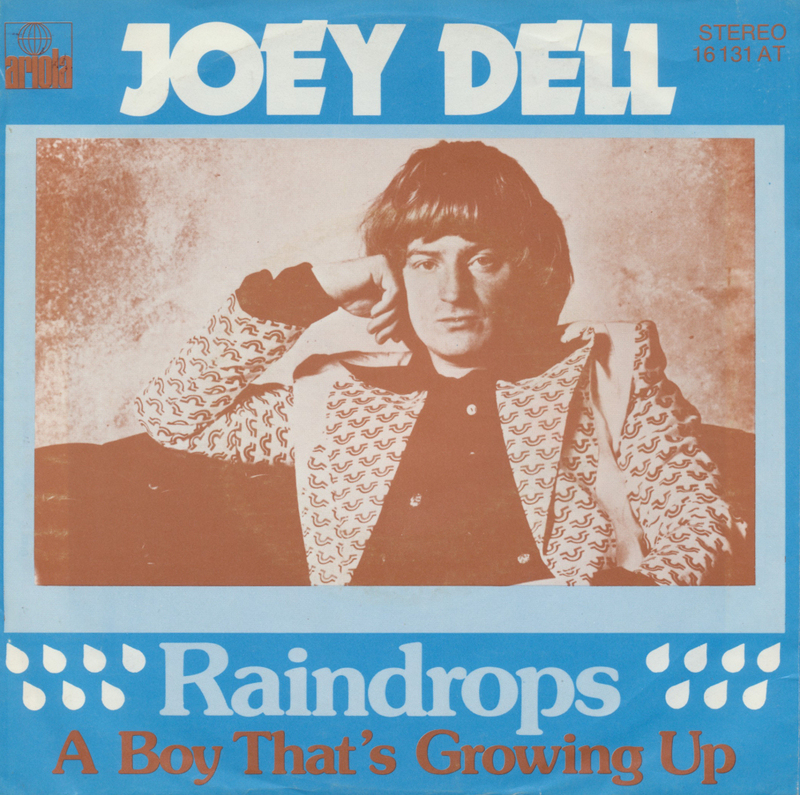 'Raindrops', the A-side, was written by Manston and Simmons, and takes cues from Buddy Holly in the vocals department. It's a charming little song of a lover who despairs at the disappearance of his partner. The B-side, 'A boy that's growing up' is written by Joey Dell himself, but also produced by Marty Wilde. After a recent donation I was very tempted to go back and get them - and so I did. Today's visit to the shop was successful within the first few minutes, because I had a stack of 'em before I even moved to the 7" singles department. 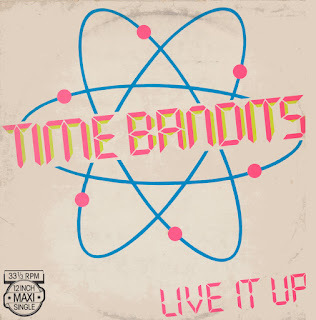 You can expect a few Time Bandits remixes on this blog in the near future. 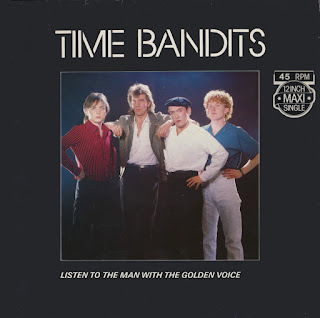 The first of them is 'Listen to the man with the golden voice', a top 10 hit for the band in 1983. I'm not one to turn down gifts, which in the case of 7" singles can be tricky. A dear colleague of mine came to me with this single, and although I didn't know the band it was worth checking out. 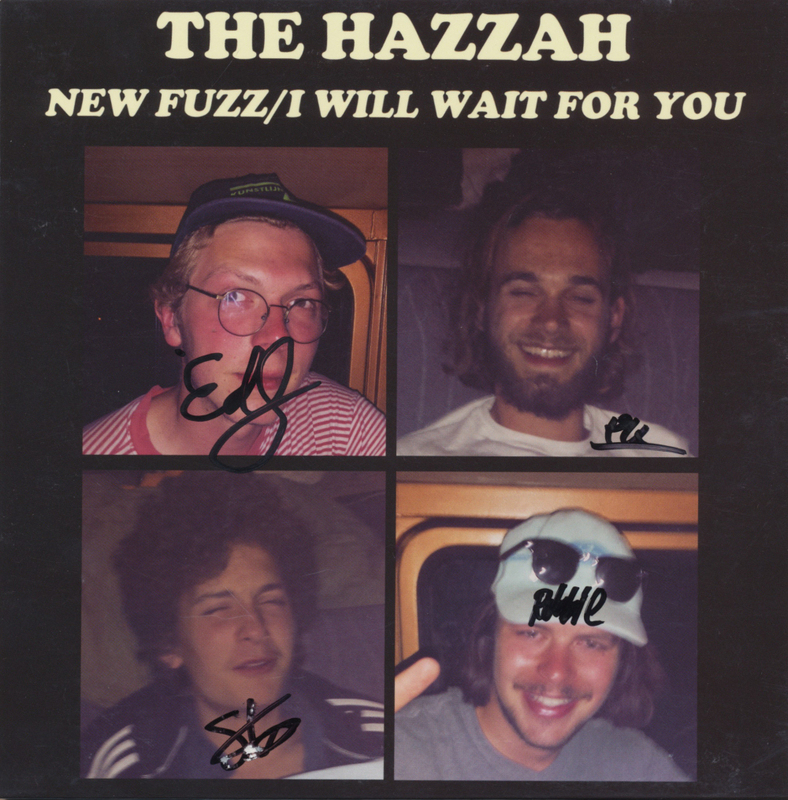 The Hazzah are based in the Netherlands and have already been signed by a record label. 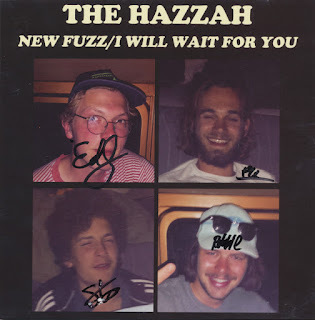 This single was released by the band as a limited edition and features two tracks: the rather loud 'New fuzz' and the more relaxed - and kinda retro - 'I will wait for you'. The latter is my favourite, which is why I decided to present that one here, even if it's the B-side. It will be interesting to see what the guys come up with. With this signed copy in my collection of course I hope they will be huge! If you like what you hear, check out the band's website and buy the single for yourself! The record busines has been very effective in eliminating itself in recent years. After the introduction of compact disc - which was a good move - they wiped out vinyl - which was a bad move - then wiped out the cd - bad move - and reintroduced vinyl - good move - but only for certain bands and usually not on the attractive 7" format. This 'exclusive vinyl' is another baffling move. Given away with the German magazine Musik Express it was not on general sale - even though Depeche Mode have a rather impressive fanbase outside of Germany as well. Obviously those 7" singles now pop up on Ebay and Discogs for inflated prices. The only reason I got this copy is because the sleeve is slightly dented, which resulted in the price going down a bit. Sometimes I really wonder if record companies even want to make money anymore. 'Where's the revolution' is the lead track of Depeche Mode's most recent album 'Spirit', which was announced in the margin of a big press conference for a tour - another weird move. Thankfully the band managed to create a great album again after the rather disappointing 'Delta Machine' from five years ago. Marty Wilde released quite a few singles during the Seventies, but unfortunately none of them were hits. My quest for all of these singles continues, and it's remarkable how some of them are really expensive whereas others are relatively cheap. 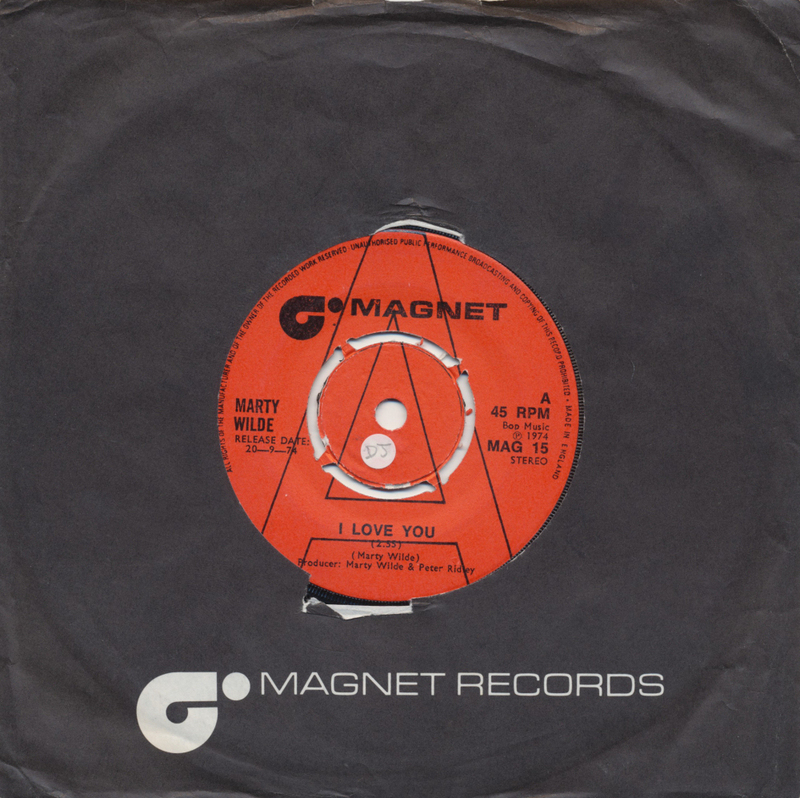 'I love you' was released on September 20, 1974. Written by Marty himself, it's a country-influenced track that seems very subdued compared to the man's earlier work. There's also a stark contrast with the B-side, 'She's a mover', written by Peter Shelley and Marty Wilde, which is more of a glam-rock type of song. 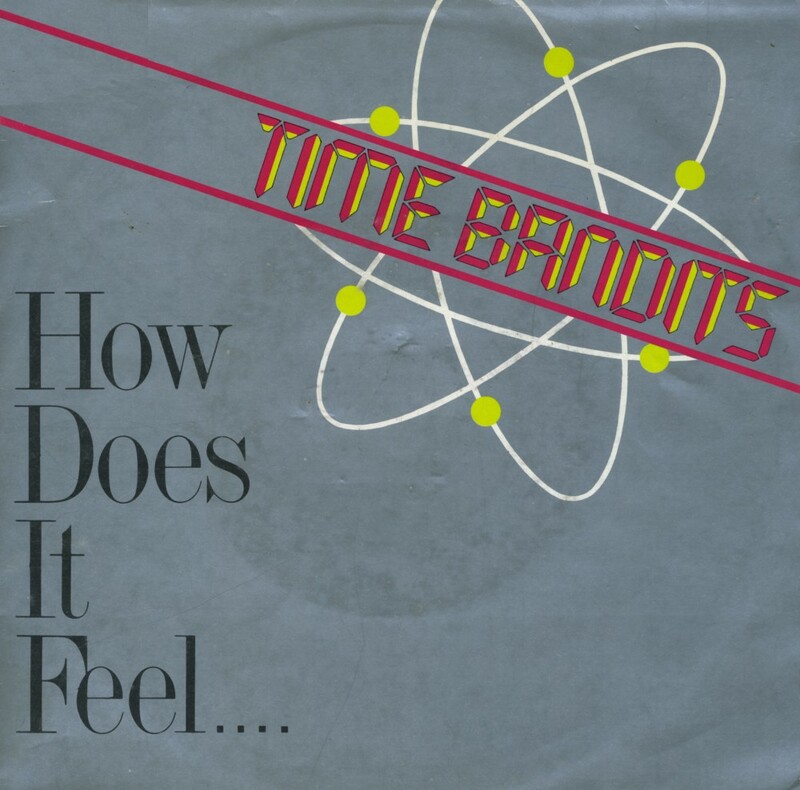 After Jukebox June went by unnoticed, I suddenly received a donation for a re-upload of songs by Fox the Fox and Time Bandits. But which ones? Those who've read this blog will know that I have quite a few songs by these bands, so here goes. 1 2 3, Cool world, Cues part 2, Dancing on a string, Dancing on a string (instrumental), Don't let your love go bad, Endless road, Endless road (Special remixed dance version), Fiction, Ginny, How does it feel (my own favourite of this bunch), I won't steal away, I'm only shooting love, I'm only shooting love (US single version), I'm only shooting love (dub version), I'm only shooting love (extended version), I'm specialized in you, I'm specialized in you (extended), In town, Listen to the man with the golden voice, Lookin' out, Only a fool, Only lovers will survive, Pasadena dream world, Reach out, Sister paradise, Star, Star (special remix), Star (instrumental remix), Ushi girl, We'll be dancing, Wildfire, Words, You're not at home. If you'd like to request a re-upload for yourself, please donate a dollar for each song you'd like to hear. Through the years I've managed to acquire all the songs released by Ricky Wilde during the Seventies. All the songs, but not all the various pressings from around the world. And, so it appears now, not all versions. 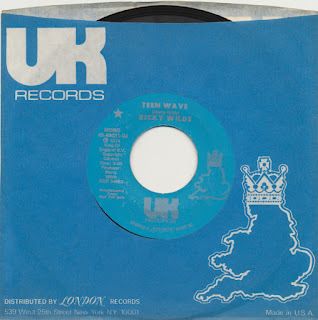 Thanks to the indispensable Discogs-website I managed to find an American promotional copy of Ricky Wilde's 1974 release 'Teen wave'. 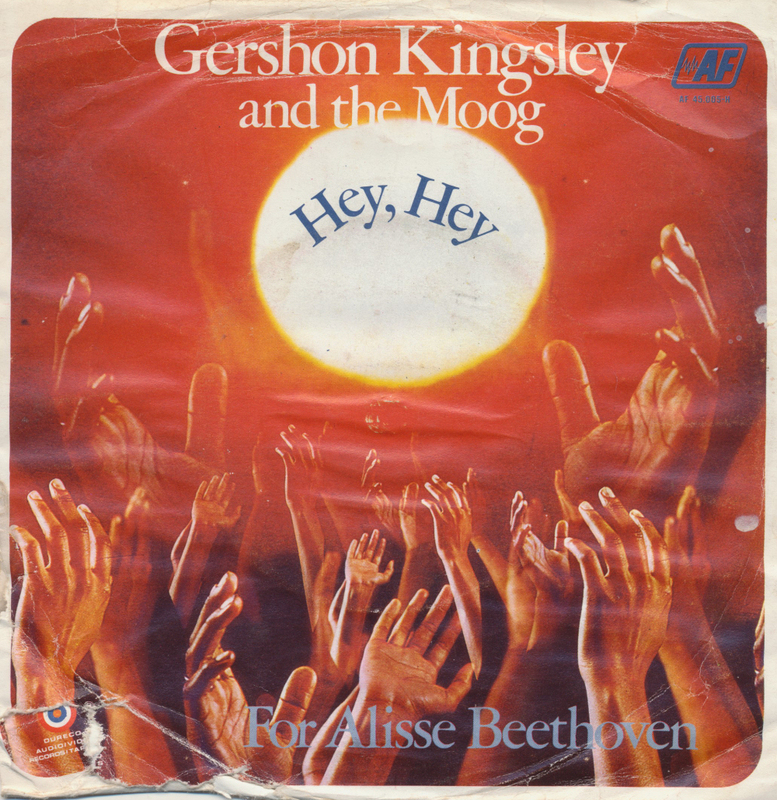 It features two versions of the song: in mono and in stereo. A lot of people are almost hysterical about the differences between mono and stereo versions, especially for acts like The Beatles, so for a Wilde afficionado, this can be considered a sort of holy grail. And yes, there are some differences between the two versions, as you can hear below.